This April, we’ll get to take a musical journey around the world at the Alive Stage. Sure to keep you dancing all throughout the weekend, this eclectic stage features everything from funky dance music and melodic folk to smooth reggae and even a touch of bluegrass. Mixing instrumental rhythms with electronic beats, you will be pulled on to the dance floor in no time. Featuring artists like Afrolicious, Five Alarm Funk, Liberation Movement, House of Hamsa, Vokab Company, Hot Buttered Rum, and Shea Freedom, variety is truly the spice of the Alive Stage this year. Making for a wide variety of sounds and genres, you’ll find a set for every friend at the Alive Stage. Get a head start on the good times by listening to the Alive Stage playlist and uncover a new artist to take your festival friends to! With countless unique sounds, you are bound to discover someone to satisfy your transformational experience. 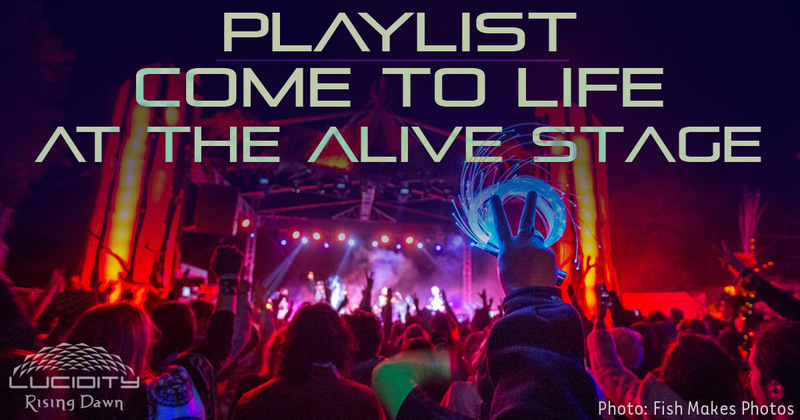 So give the playlist a listen & we’ll see you on the dance floor at the Alive Stage!